How Long Do Boots Last? Most people who wear combat boots made from suede leather or 'rough-side-out leather' wear them hard. And that hard wear usually leads to replacing them every 12-18 months because of cracking leather or a heel worn down so low that the boot hurt the wearer’s knees. However, most people do not even attempt to repair these issues before resorting to replacing the whole pair of boots. The first step in this process is a proper boot break-in. This is an extensive topic, and more information can be found in How to Care for Your Combat Boots Part Two. The largest problem that plagues suede boots is cracking leather. Leather cracks when it dries out and is moved in the same motion repeatedly. Because walking is a very repetitive activity, and it doesn’t make sense to stop walking to save your boots, dryness becomes the primary issue. Leather dries out as a result of neglect or getting muddy. It’s important to wash mud off your boots with clean water before that mud dries because if the mud dries on the boots, those tiny sharp soil particles will absorb into the leather and damage the leather as it flexes. A clean rinse is necessary, but if it doesn’t happen every time, the leather can still recover. However good habits will prolong the life of the leather. Avoid shampoos like Dawn dish soap. Shampoos are acidic and break down all oils—even natural oils that are already in your leather. 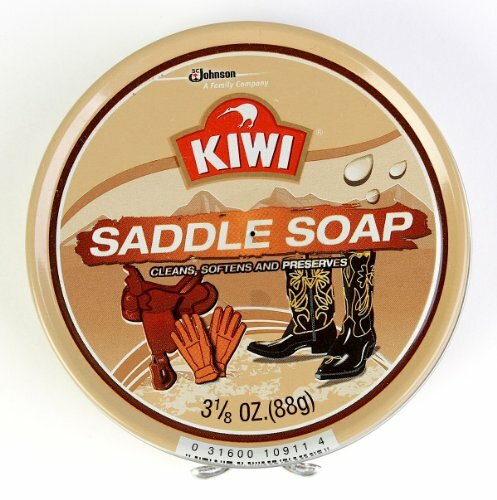 I just use water, but saddle soap is intended for leather and will provide a deeper clean. After the leather dries, apply mink oil to the high-flexing areas. This is the true key to maintaining the leather. I’ve used several leather conditioners and oils and have also worn out close to 20 pair of boots. 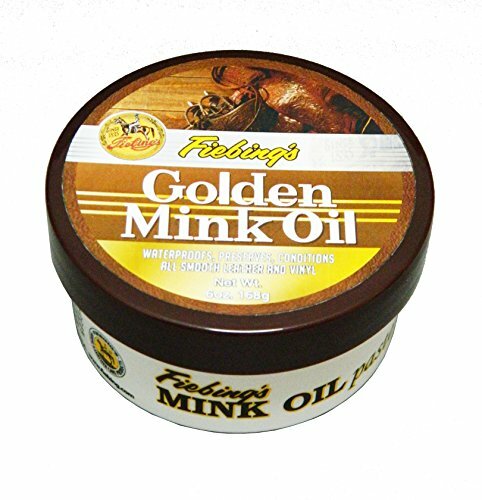 In my experience, mink oil is hands down the best product to hydrate the leather and to keep it supple. Use a clean dry cloth, and wrap it around a few of your fingers. Rub the rag into the oil then apply the oil to the leather making small circles. Rub the oil into the leather, and add more oil as needed. Target the areas behind the toes and above the heel. Stop applying the oil when the leather starts to darken. If a white film develops, you’ve added too much mink oil and need to spread it out over more leather. Finally, let the oil soak in overnight or about six hours before letting the leather get wet. Monitor how supple your leather is from day to day or on a weekly basis. If I don’t get dirty, I can go three to four months without the leather stiffening. Then I add the mink oil again. In more active weeks, I need to clean and re-oil my boots every three to four weeks. If the tread on your boots are worn bald or if the heel is worn down 1/4 inch or more, the sole needs to be replaced. I say 1/4 inch because that used to be an old Army standard. Now, 1/4 inch is where I draw the line for safety. When the back of the heel is worn down, your knee and hip will roll in such a way that they are not designed for. Repeating this movement is a recipe for chronic knee and hip pain. Credit: photo by Mrs. Hihaski, Shoe Six, 2015. This is a sole I had put on last week. It is a heavier, more durable sole. A Google or Yellow Pages search can show you local cobblers and boot shops. Most boot shops can modify boots as well as resole them. Resoling costs $30 to $60 depending on the type of soles you want. Your options usually range from light weight to more durable options. I have found that lightweight soles typically last about 30-50 miles before they need to be replaced. However the more durable options can last 160-180 miles. There will be a weight difference, and if you are resoling running boots, weight is a huge factor. The service time can be as short as overnight but could be longer if the shop is busy. Some cobblers have difficulty resoling boots with 'high-tech soles.' Garmonts, and Rocky's are notorious for soles that form around the foot instead of underneath. This adds a level of complexity to resoling that requires the cobbler to grind down the old sole instead of un-stitching or dissolving glue. However, it can be done. Have the conversation with your cobbler and if he doesn't believe you, show him the pictures on this page. It might look unusual, but they wear like champions. Credit: photo by Mrs. Hihaski, Shoe Seven, 2015. This is a side profile of the same new sole. Resoling the Garmont T8 like this boot is more difficult and more expensive than resoling a traditional bottom-sole style like Bates or McRae boots. Following these two boot maintenance activities on you combat boots will make them last for years. Never neglect them, especially when dirty and muddy. These steps will save you the time and cost of replacing your boots up to three times. Its taken me years of trial and error to find the best way to keep the leather supple. I used four different kinds of soles, and they all have their own benefits and drawbacks. Your boots might even last longer than five years, but I'm on my third re-sole in four years, and my leather is still as fresh as day one.